A highly detailed, 3D printed Compressor with Jackhammer & Hose for detailing your OO scale model railway layouts and 1:76 diecast dioramas. 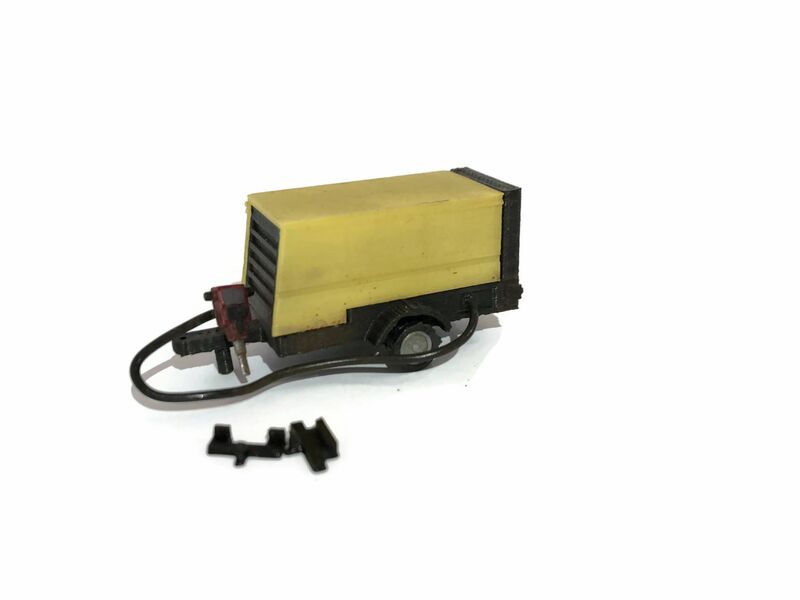 The body of the compressor is supplied fully assembled and ready plant on your layout. The jack hammer & hose are supplied loose so you can paint and detail as required. Also included are two 3D printed tow bars to fit the Oxford Diecast Ford Transit Vans and the new Ford Transit Dropside Pickup. These can be simply glued into place. Where can this kit be used? What modelling scales is it compatible with? Compatible with all brands of OO gauge model railway & 1:76 diecast vehicles.